Elegant, well designed mailbox. Its beautiful elliptical shape gives it a modern appearance. The mailbox has separate compartments for letters and magazines. The Allux 7000 comes with a heavy duty cam lock. 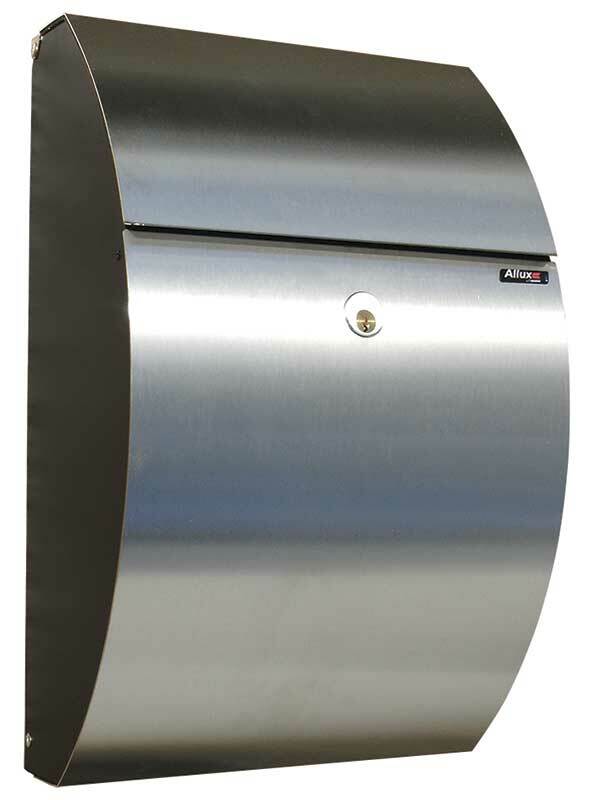 Available in stainless steel with black side panels (ALX-7000) or black powder coated steel body with copper accent door. Slot Size: 11-1/2" x 1-1/8"
Mailbox Size: 12-5/8" x 20" x 7-5/8"